When is erythropoietin test ordered? How should erythropoietin injection be used? Erythropoietin (EPO) is a hormone produced primarily by the healthy kidneys and a small amount in your liver 1). Erythropoietin prompts your bone marrow stem cells to make more red blood cells, which then carry oxygen from the lungs to the rest of your body. When kidneys are diseased or damaged, they do not make enough erythropoietin. As a result, the bone marrow makes fewer red blood cells, causing anemia. When blood has fewer red blood cells, it deprives the body of the oxygen it needs. Erythropoietin is produced and released into the blood by the kidneys in response to low blood oxygen levels (hypoxemia). Erythropoietin (EPO) is carried to the bone marrow, where it stimulates production of red blood cells. The hormone is active for a short period of time and then eliminated from the body in the urine. The amount of erythropoietin released depends upon how low the oxygen level is and the ability of the kidneys to produce erythropoietin. Increased production and release of erythropoietin continues to occur until oxygen levels in the blood rise to normal or near normal concentrations, then production falls. The body uses this dynamic feedback system to help maintain sufficient oxygen levels and a relatively stable number of red blood cells in the blood. However, if a person’s kidneys are damaged and do not produce sufficient erythropoietin, then too few red blood cells are produced and the person typically becomes anemic. Similarly, if a person’s bone marrow is unable to respond to the stimulation from erythropoietin, then the person may become anemic. This can occur with some bone marrow disorders or with chronic diseases, such as rheumatoid arthritis. Individuals who have conditions that affect the amount of oxygen they breathe in, such as lung diseases, may produce more erythropoietin to try to compensate for the low oxygen level. People who live at high altitudes may also have higher levels of erythropoietin and so do chronic tobacco smokers. If too much erythropoietin is produced, as occurs with some benign or malignant kidney tumors and with a variety of other cancers, too many red blood cells may be produced (polycythemia or erythrocytosis). This can lead to an increase in the blood’s thickness (viscosity) and sometimes to high blood pressure (hypertension), blood clots (thrombosis), heart attack, or stroke. Rarely, polycythemia is caused by a bone marrow disorder called polycythemia vera, not by increased erythropoietin. Many researchers have made rigorous efforts to identify erythropoietin-producing cells in kidneys; however, a uniform understanding of which cells produce erythropoietin in kidneys was not established until the era of genetically modified mice 2). Using gene targeting and bacterial artificial chromosome transgenic methods, scientists have identified nearly all of interstitial fibroblast-like cells in the cortex and outer medulla to be renal erythropoietin-producing cells (kidney erythropoietin-producing cells) 3). Furthermore, interests in renal erythropoietin-producing cells (kidney erythropoietin-producing cells) have markedly increased by the evidence showing the crucial link between fibrosis and anemia via the loss of erythropoietin-producing ability of myofibroblast-transformed renal erythropoietin-producing cells 4). Importantly, this direct link indicates that kidney fibrosis (scarring) and anemia could be simultaneously treated by targeting or regulating the cellular properties of renal erythropoietin-producing cells. The paired kidneys are reddish, kidney bean–shaped organs located just above the waist between the peritoneum and the posterior wall of the abdomen. Because their position is posterior to the peritoneum of the abdominal cavity, the organs are said to be retroperitoneal (Figure 1). The kidneys are located between the levels of the last thoracic vertebrae T12 and third lumbar (L3) vertebrae, a position where they are partially protected by ribs 11 and 12. If these lower ribs are fractured, they can puncture the kidneys and cause significant, even life-threatening damage. The right kidney is slightly lower than the left (see Figure 1) because the liver occupies considerable space on the right side superior to the kidney. A typical adult kidney is 10–12 cm (4–5 in.) long, 5–7 cm (2–3 in.) wide, and 3 cm (1 in.) thick—about the size of a bar of bath soap—and weighs about 135–150 g (4.5–5 oz). The concave medial border of each kidney faces the vertebral column. Near the center of the concave border is an indentation called the renal hilum, through which the ureter emerges from the kidney along with blood vessels, lymphatic vessels, and nerves. Three layers of tissue surround each kidney. The deep layer, the renal capsule, is a smooth, transparent sheet of dense irregular connective tissue that is continuous with the outer coat of the ureter. It serves as a barrier against trauma and helps maintain the shape of the kidney. The middle layer, the adipose capsule, is a mass of fatty tissue surrounding the renal capsule. It also protects the kidney from trauma and holds it firmly in place within the abdominal cavity. The superficial layer, the renal fascia, is another thin layer of dense irregular connective tissue that anchors the kidney to the surrounding structures and to the abdominal wall. On the anterior surface of the kidneys, the renal fascia is deep to the peritoneum. Note: Low blood oxygen causes the kidneys and to a lesser degree, the liver to release erythropoietin. Erythropoietin stimulates target cells in the red bone marrow to increase the production of red blood cells, which carry oxygen to tissues. The erythropoietin test measures the amount of a hormone called erythropoietin (EPO) in blood. To do the erythropoietin test, a blood sample is obtained by inserting a needle into a vein in your arm. An erythropoietin test is used primarily to help diagnose the cause of anemia. It can help identify candidates for erythropoietin replacement therapy (e.g., people with chronic kidney disease). Sometimes erythropoietin test is used to help diagnose the cause of too many red blood cells (polycythemia or erythrocytosis) or as part of an evaluation of a bone marrow disorder. An erythropoietin test is usually ordered in follow up to abnormal findings on a complete blood count (CBC), such as a low red blood cell (RBC) count and low hemoglobin and hematocrit. These tests establish the presence and severity of anemia and give the healthcare practitioner clues as to the likely cause of the anemia. Erythropoietin testing is ordered to help determine if low erythropoietin may be causing and/or worsening the anemia. In people with chronic kidney disease, the test may be ordered to evaluate the kidneys’ continued ability to produce sufficient erythropoietin. If the erythropoietin level is low, erythropoietin replacement therapy may help increase red cell production in the bone marrow. Occasionally, an erythropoietin test may be ordered in follow up to complete blood count (CBC) results that show an increased number of red blood cells, to help determine whether the excess production of red blood cells (polycythemia or erythrocytosis) is due to an overproduction of erythropoietin or some other cause (e.g., JAK2 mutation). 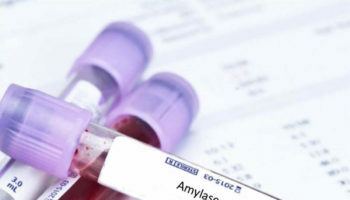 An erythropoietin test may be ordered when a person has anemia that does not appear to be caused by iron deficiency, vitamin B12 or folate deficiency, decreased lifespan of red blood cells (hemolysis), or by excessive bleeding. It may be ordered when the red blood cell count, hemoglobin, and hematocrit are decreased and the reticulocyte count is inappropriately normal or decreased. An erythropoietin test may be ordered when a complete blood count reveals that a person has an increased number of red blood cells and a high hematocrit and hemoglobin. An erythropoietin test may be ordered when a healthcare practitioner suspects that a person has a bone marrow disorder, such as a myeloproliferative neoplasms or myelodysplastic syndrome. The normal erythropoietin range is 2.6 to 18.5 milliunits per milliliter (mU/mL). Normal value ranges may vary slightly among different laboratories. Some labs use different measurements or test different samples. Talk to your health care provider about the meaning of your specific test result. Increased erythropoietin level may be due to secondary polycythemia. This is an overproduction of red blood cells that occurs in response to an event such as low blood oxygen level. The condition may occur at high altitudes or, rarely, because of a tumor that releases erythropoietin. Lower-than-normal erythropoietin level may be seen in chronic kidney failure, anemia of chronic disease, or polycythemia vera. If a person has too many red blood cells and erythropoietin levels are increased, then it is likely that excess erythropoietin is being produced – either by the kidneys or by other tissues in the body. This condition is called secondary polycythemia. If there is excess red blood cell production and erythropoietin levels are normal or low, then it is likely that the polycythemia has a cause that is independent of erythropoietin production. This condition is called primary polycythemia. Erythropoietin an essential hormone for red blood cell production, is mainly produced in the liver before birth and in the kidney after birth 5). Erythropoietin is regulated in an oxygen-dependent manner by hypoxia inducible factor 6). Under hypoxic conditions, hypoxia inducible factor proteins become stable and upregulate downstream genes including erythropoietin. The kidney is a hypoxic organ because of huge oxygen consumption for tubular reabsorption 7). The physiological hypoxia makes the kidney an appropriate organ for sensitively detecting oxygen levels and producing erythropoietin. Erythropoietin-deficiency anemia occurs in chronic kidney disease patients and in preterm neonates. In chronic kidney disease, renal anemia occurs since erythropoietin-producing fibroblasts transdifferentiate into myofibroblasts in response to injuries 8). Erythropoietin (EPO) alfa injection is used to treat anemia (a lower than normal number of red blood cells) in people with chronic kidney failure (condition in which the kidneys slowly and permanently stop working over a period of time). Erythropoietin alfa injection is also used to treat anemia caused by chemotherapy in people with certain types of cancer or caused by zidovudine (AZT, Retrovir, in Trizivir, in Combivir), a medication used to treat human immunodeficiency virus (HIV). Erythropoietin alfa injection is also used before and after certain types of surgery to decrease the chance that blood transfusions (transfer of one person’s blood to another person’s body) will be needed because of blood loss during surgery. Erythropoietin alfa injection should not be used to decrease the risk that transfusions will be needed in people who are having surgery on their hearts or blood vessels. Erythropoietin alfa injection also should not be used to treat people who are able and willing to donate blood before surgery so that this blood can be replaced in their bodies during or after surgery. Erythropoietin alfa injection cannot be used in place of a red blood cell transfusion to treat severe anemia and has not been shown to improve tiredness or poor well-being that may be caused by anemia. Erythropoietin alfa is in a class of medications called erythropoiesis-stimulating agents (ESAs). It works by causing the bone marrow (soft tissue inside the bones where blood is made) to make more red blood cells. Erythropoietin (EPO) is a very large protein and does not cross the dialysis membrane during dialysis. Erythropoietin can be given either as an injection underneath the skin (subcutaneous) which results in a more sustained and longer action for the drug in the body. Erythropoietin can also be given intravenously through the tubes or lines on the dialysis machine. Erythropoietin can be given in the venous line as one is coming off of dialysis or it can be given at any time during dialysis as long as it is given in the venous line. In the dialysis unit, it is commonly given sometime in the last 30 minutes of the dialysis treatment or with the rinse back of the patient. Both of these techniques work equally well, but the drug has a shorter duration of action than giving it subcutaneously. Using erythropoietin alfa injection increases the risk that blood clots will form in or move to the legs, lungs, or brain. Tell your doctor if you have or have ever had heart disease and if you have ever had a stroke. Call your doctor immediately or get emergency medical help if you experience any of the following symptoms: pain, tenderness, redness, warmth, and/or swelling in the legs; coolness or paleness in an arm or leg; shortness of breath; cough that won’t go away or that brings up blood; chest pain; sudden trouble speaking or understanding speech; sudden confusion; sudden weakness or numbness of an arm or leg (especially on one side of the body) or of the face; sudden trouble walking, dizziness, or loss of balance or coordination; or fainting. 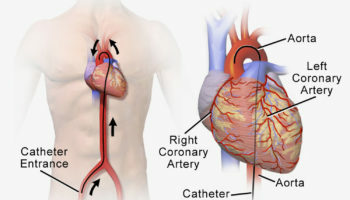 If you are being treated with hemodialysis (treatment to remove waste from the blood when the kidneys are not working), a blood clot may form in your vascular access (place where the hemodialysis tubing connects to your body). Tell your doctor if your vascular access is not working as usual. Your doctor will adjust your dose of epoetin alfa injection so that your hemoglobin level (amount of a protein found in red blood cells) is just high enough that you do not need a red blood cell transfusion (transfer of one person’s red blood cells to another person’s body to treat severe anemia). If you receive enough epoetin alfa to increase your hemoglobin to a normal or near normal level, there is a greater risk that you will have a stroke or develop serious or life threatening heart problems including heart attack or heart failure. Call your doctor immediately or get emergency medical help if you experience any of the following symptoms: chest pain, squeezing pressure, or tightness; shortness of breath; nausea, lightheadedness, sweating, and other early signs of heart attack; discomfort or pain in the arms, shoulder, neck, jaw, or back; or swelling of the hands, feet, or ankles. Keep all appointments with your doctor and the laboratory. Your doctor will order certain lab tests to check your body’s response to epoetin alfa injection. Your doctor may decrease your dose or tell you to stop using epoetin alfa injection for a period of time if the tests show that you are at high risk of experiencing serious side effects of epoetin alfa injection. Follow your doctor’s directions carefully. Your doctor or pharmacist will give you the manufacturer’s patient information sheet (Medication Guide) when you begin treatment with erythropoietin alfa injection and each time you refill your prescription. Read the information carefully and ask your doctor or pharmacist if you have any questions. Talk to your doctor about the risks of using erythropoietin alfa injection. In clinical studies, people with certain cancers who received erythropoietin alfa injection died sooner or experienced tumor growth, a return of their cancer, or cancer that spread sooner than people who did not receive the medication. If you have cancer, you should receive the lowest possible dose of erythropoietin alfa injection. You should only receive erythropoietin alfa injection to treat anemia caused by chemotherapy if your chemotherapy is expected to continue for at least 2 months after you start your treatment with erythropoietin alfa injection and if there is not a high chance that your cancer will be cured. Treatment with erythropoietin alfa injection should be stopped when your course of chemotherapy ends. A program called the ESA APPRISE Oncology Program has been set up to decrease the risks of using erythropoietin alfa injection to treat anemia caused by chemotherapy. Your doctor will need to complete training and enroll in this program before you can receive erythropoietin alfa injection. As part of the program, you will receive written information about the risks of using erythropoietin alfa injection and you will need to sign a form before you receive the medication to show that your doctor has discussed the risks of erythropoietin alfa injection with you. Your doctor will give you more information about the program and will answer any questions you have about the program and your treatment with erythropoietin alfa injection. You may be given erythropoietin alfa injection to decrease the risk that you will develop anemia and require a blood transfusion as a result of blood loss during surgery. However, receiving erythropoietin alfa injection before and after surgery may increase the risk that you will develop a dangerous blood clot during or after surgery. Your doctor will probably prescribe medication to help prevent blood clots. Erythropoietin injection comes as a solution (liquid) to inject subcutaneously (just under the skin) or intravenously (into a vein). It is usually injected one to three times weekly. When erythropoietin alfa injection is used to decrease the risk that blood transfusions will be required due to surgery, it is sometimes injected once daily for 10 days before surgery, on the day of surgery and for 4 days after surgery. Alternatively, erythropoietin alfa injection is sometimes injected once weekly, beginning 3 weeks before surgery and on the day of surgery. To help you remember to use erythropoietin alfa injection, mark a calendar to keep track of when you are to receive a dose. Follow the directions on your prescription label carefully, and ask your doctor or pharmacist to explain any part you do not understand. Use erythropoietin alfa injection exactly as directed. Do not use more or less of it or use it more often than prescribed by your doctor. Your doctor will start you on a low dose of erythropoietin alfa injection and adjust your dose depending on your lab results and how you are feeling, usually not more than once every month. Your doctor may also tell you to stop using erythropoietin injection for a time. Follow these instructions carefully. erythropoietin injection will help control your anemia only as long as you continue to use it. It may take 2–6 weeks or longer before you feel the full benefit of erythropoietin injection. Do not stop using erythropoietin injection without talking to your doctor. erythropoietin injections may be given by a doctor or nurse, or your doctor may decide that you can inject erythropoietin yourself or that you may have a friend or relative give the injections.You and the person who will be giving the injections should read the manufacturer’s information for the patient that comes with erythropoietin injection before you use it for the first time at home. Ask your doctor to show you or the person who will be injecting the medication how to inject it. If you are using erythropoietin injection at home, you will need to use disposable syringes and needles to inject your medication. Your doctor or pharmacist will tell you what type of syringe you should use. Do not use any other type of syringe because you may not get the right amount of medication. Always keep a spare syringe and needle on hand. Erythropoietin injection comes in multidose vials and single use vials. The multidose vials contain benzyl alcohol, a preservative that may be harmful to babies, so erythropoietin injection from multidose vials cannot be used to treat pregnant or nursing women or babies. The single use vials do not contain benzyl alcohol and may be used to treat pregnant or nursing women or babies, but they are only safe to use one time. Do not put a needle through the rubber stopper of the single use vial more than once. Dispose of the single use vial after you have used it for one dose, even if it is not empty. Do not shake erythropoietin injection. If you shake the medication, it may look foamy and should not be used. Always inject erythropoietin in its own syringe; never mix it with any other medication. You can inject erythropoietin just under the skin anywhere on the outer area of your upper arms, middle of the front thighs, stomach (except for a 2-inch [5 centimeter] area around the navel [belly button]), or outer area of the buttocks. Do not inject erythropoietin into a spot that is tender, red, bruised, hard, or has scars or stretch marks. Choose a new spot each time you inject erythropoietin, as directed by your doctor. Write down the date, time, dose of erythropoietin injection, and the spot where you injected your dose in a record book. If you are being treated with dialysis (treatment to remove waste from the blood when the kidneys are not working), your doctor may tell you to inject the medication into your venous access port. Ask your doctor if you have any questions about how to inject your medication. Always look at erythropoietin solution before you inject it. Be sure that the vial is labeled with the correct name and strength of medication and an expiration date that has not passed. Also check that the solution is clear and colorless and does not contain lumps, flakes, or particles. If there are any problems with your medication, call your pharmacist and do not inject it. Do not use disposable syringes more than once. Dispose of used syringes in a puncture-resistant container. Ask your doctor or pharmacist how to dispose of the puncture-resistant container. This medication may be prescribed for other uses. Talk to your doctor about the risks of using this medication for your condition. tell your doctor and pharmacist if you are allergic to erythropoietin, darberythropoietin (Aranesp), any other medications, or any of the ingredients in erythropoietin injection. Ask your pharmacist or check the Medication Guide for a list of the ingredients. tell your doctor if you have or have had high blood pressure and if you have ever had pure red cell aplasia (a type of severe anemia that may develop after treatment with an erythropoiesis-stimulating agent such as darberythropoietin injection or erythropoietin injection). Your doctor may tell you not to use erythropoietin injection. tell your doctor if you have or have ever had seizures. If you are using erythropoietin injection to treat anemia caused by chronic kidney disease, tell your doctor if you have or have ever had cancer. tell your doctor if you are pregnant, plan to become pregnant, or are breast-feeding. If you become pregnant while using erythropoietin injection, call your doctor. if you are having surgery, including dental surgery, tell the doctor or dentist that you are using erythropoietin injection. Your doctor may prescribe a special diet to help control your blood pressure and to help increase your iron levels so that erythropoietin injection can work as well as possible. Follow these directions carefully and ask your doctor or dietician if you have any questions. Call your doctor to ask what to do if you miss a dose of erythropoietin injection. Do not use a double dose to make up for a missed one. Erythropoietin injection may cause other side effects. Call your doctor if you have any unusual problems while using this medication. 2. ↵ Use of gene-manipulated mice in the study of erythropoietin gene expression. Suzuki N, Obara N, Yamamoto M. Methods Enzymol. 2007; 435():157-77. 3. ↵ A mouse model of adult-onset anaemia due to erythropoietin deficiency. Yamazaki S, Souma T, Hirano I, Pan X, Minegishi N, Suzuki N, Yamamoto M. Nat Commun. 2013; 4:1950. 4. ↵ Plasticity of renal erythropoietin-producing cells governs fibrosis. Souma T, Yamazaki S, Moriguchi T, Suzuki N, Hirano I, Pan X, Minegishi N, Abe M, Kiyomoto H, Ito S, Yamamoto M. J Am Soc Nephrol. 2013 Oct; 24(10):1599-616. 6. ↵ Souma T, Suzuki N, Yamamoto M. Renal erythropoietin-producing cells in health and disease. Frontiers in physiology. 2015;6:167. doi: 10.3389/fphys.2015.00167.